The most protective and empowering factor is social care work is, in my opinion, beyond doubt the worker themselves. Therefore, how workers make use of ‘self’ in their work is of critical importance. There are many aspects to the use of self and in this brief piece, I intend to address vicarious processes inherent in the work with regard to two of these self-processes – the importance of self-awareness and self-care. Bearing witness to another’s vulnerability can be an uncomfortable and challenging experience, which can evoke our own vulnerability, emotions, feelings and past experiences. We can also experience some of the other’s pain if we connect to and ‘therapeutically hold’ them (Winnicott, 1975), or ‘hold the child in mind’ (Ruch, 2005), during these times of distress. By recognising that we ‘hold’ something it can be seen that some degree of possession is implied on the part of the carer. This means we also can become affected by their trauma and pain and we can experience vicarious trauma, what Hatfield et al., (1994) describe as a form of emotional contagion that causes the carer to ‘catch the emotions’ of those they care for. Vicarious Trauma can also be referred to as Compassion Fatigue (Figley, 2002) which, although with different causation, is sometimes associated with Secondary Traumatic Stress (Pryce et al., 2007). Secondary Traumatic Stress is more closely associated with Post Traumatic Stress except that the stress is experienced through another person, i.e. vicariously, rather than first hand. It is important to recognise that these concepts are contested (Sabin-Farrell & Turpin, 2003) and that “the actual causes of vicarious traumatization have not yet been established” (Bloom, 2003:459). Consequently, there is no certainty regarding which workers will, if any, or to what degree, experience these conditions. However, what is incontestable is that working with others can and does have an impact on the worker and that this needs to be acknowledged and managed. In my experience, Vicarious Vulnerability might be an appropriate terminology to use. Trauma implies harm, which in turn could be said to imply that the young person has caused harm to the worker, even if unintentionally. Equally, Compassion Fatigue could be seen to imply that the needy or demanding young person invokes fatigue on the part of the worker thus casting the young person as the cause of this fatigue. This, then, could lead to the young person becoming perceived as the cause of the harm, the problem, when clearly they are not. It is the harm that has been caused to them by others that is the cause of the problem. 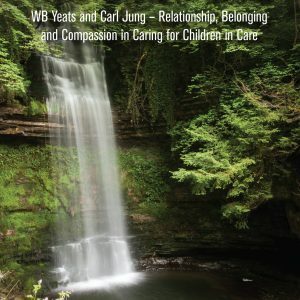 During, and after, many of the incidents I have been involved in over my years of social care practice very often I was not traumatised or fatigued but I did connect with and re-experience some of my own vulnerability through connecting with the vulnerability of the children and young people (and occasionally my colleagues). This concept of Vicarious Vulnerability allows for recognition of workers’ own pre-existing vulnerability to be recognised as part of this condition and thus the young person is not solely responsible for workers’ experiences. This is a perspective I find helpful in my practice as it lessens the tendency towards judgement and blame. I have found that reflective processes have become part of my self-care regime which, together with supervision and talking to trusted colleagues, enables me to process the feelings arising from such encounters with vulnerability. Carl Jung (1875-1961) theorised that many carers and helpers are motivated to enter caring professions as a result of their own ‘wounds’ from prior life experiences. He coined the term ‘wounded healers’. Jackson (2001) identifies the ‘wounded healer’ not as a flawed professional rather one whose past experiences can be utilised to better attune them to caring for others. She cites Gothe (1749-1832): “Our own pain teaches us to share in the suffering of others” (2001:17) and makes explicit that the ‘wounded healer’ is not a victim of burnout rather the healer’s own suffering and vulnerability. She identifies how both Freud and Jung were themselves ‘wounded healers’. Research by Maeder (1998), Regehr et al. (2001) and Rizq & Target (2010) identified that high percentages of workers in social work, counselling, and psychotherapy professions had experienced prior ‘wounding’ experiences which motivated them to enter these professions. From this research, we can see the magnitude of the potential for workers’ having pre-existing vulnerabilities that may be impacted on by children’s and young people’s vulnerabilities but that correctly managed this need not be a negative phenomenon. This, then, confirms the absolute imperative for workers to be aware of their own vulnerabilities and to manage them. In the event that the worker does experience vicarious trauma it “is important to recognise that neither clients nor the negligent helpers are responsible for VT. Rather it is an occupational hazard, a cost of doing the work” (Pearlman & Caringi in Courtois & Ford, 2009:205). It is also important to recognise that none of these conditions, vicarious trauma, compassion fatigue or secondary traumatic stress are the same as burnout. However, they can be antecedents to burnout and therefore may develop into burnout if not dealt with appropriately. The potential for the evoking of our own vulnerability and past experiences as well as potentially experiencing vicarious trauma or compassion fatigue makes clear the imperative for workers not just to be self-aware but also to have good self-care practices (Newell & MacNeil, 2010; Cuskelly, 2013). Good self-care practices are vital to aid workers to process their emotional responses and not alone to take care of themselves but also in this process to be more effective in their role of caring for the distressed child or young person. It is important to recognise that vicarious trauma and compassion fatigue are very treatable conditions and can be resolved successfully with self-care practices and/or professional support should the worker experience them. The role of supervision is critical within this area. However, these vicarious processes all present with varying degrees of negative implications for workers. Whilst I have experienced many, if not all, of the symptoms of these processes over the years I have also had many positive experiences through vicarious processes with children and young people in care. Vicarious Resilience (VR) has only relatively recently been acknowledged by academia with Hernández et al. (2007) first identifying the concept with reference to psychotherapists working with traumatised clients. They argue that “this process is a common and natural phenomenon illuminating further the complex potential of therapeutic work to both to fatigue and to heal” (2007:237). They also highlight that vicarious resilience offers a mechanism to counterbalance vicarious trauma and, crucially, that practitioners’ awareness of the potential of vicarious resilience boosts its potential benefits for these practitioners. Silveira & Boyer (2015) found that in addition to experiencing vicarious resilience counsellors of traumatised children were also imbued with increased levels of optimism which they attribute to the vicarious mechanisms of engaging with children overcoming trauma. They also identify how professionals who are familiar with vicarious resilience can look for it within the children and young people and share findings with the children’s families thus affording the families opportunities for experiencing vicarious resilience and enhanced optimism also. This, they point out, could potentially transform family dynamics in positive ways “and contribute to better therapeutic outcomes for clients” (2015:523). They recommend, and I concur, that vicarious resilience should be brought into discussions within supervision and professional development workshops. With regard to the concept of compassion and trauma, there is also a positive construct identified as self-compassion (Thompson & Waltz, 2008) that warrants inclusion from a self-care perspective. Self-compassion has been gaining purchase in the social profession in recent years for its potential to enhance practitioners’ mental health within a framework that avoids the self-evaluation and self-judgement that is inherent in many other models. This then enables the person to be less judgemental of others. The person balances concern for themselves with concern for others. Kristin Neff (2003) identifies how people are apt to be much harsher and unkind towards themselves than they are to others they care about or even strangers. Consequently, awareness of vicarious resilience and the potential for opportunities to enhance levels of optimism coupled with the practice of self-compassion can enhance practitioners’ wellbeing. 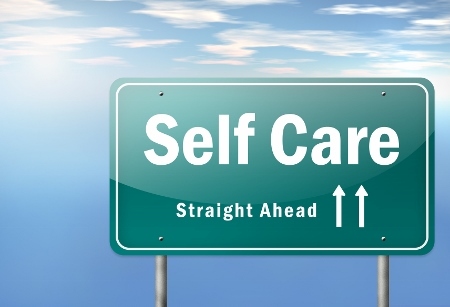 Self-care is a critical component of professional competence in social care. …However, we must also recognise that systems which facilitate practices such as the expectation of individual accountability without sufficient resources can be seen to be dysfunctional in terms of providing basic support for both workers and children and young people. It is entirely plausible to perceive of such systems as posing a real threat of harm to workers. Here, the risk of what can be termed ‘system trauma’, where the lack of support, resources and services afforded by the system of care, is equally, if not more of a reality for workers than vicarious trauma. Children and young people are equally exposed to such ‘system trauma’ within a system which, for example, in The Republic of Ireland in 2014 had 405 children waiting for an appointment within our Child and Adolescent Mental Health Service (CAMHS) for longer than 12 months (Children’s Mental Health Coalition, 2015).